It is with great sadness that we announce the passing of our sister Paula, on Thursday, March 21st. Loving daughter of the late Maurice and Eleanor McParland. Much loved sister of Maurine Matias (Rick), Greg (predeceased) (Lorrie), Mike (Margie), Mary Anne Longpre (Ray-predeceased), Cathy, Barbara, (Ed Andrus), and Shaunagh Kinzinger (Don). Special aunt of Darren and Allison Matias; Rebecca, Jeffrey, Jamie, Josh (predeceased) and Jonathan McParland; Wyatt McParland; and Austin and Ashley Kinzinger. Great aunt to many nieces and nephews. Special thanks to the staff (both past and present) at Orillia 1 Christian Horizons, Paula's home for the past 20 years - especially Karen and Andrea who worked with Paula for most of those years. Thanks as well to the caring staff at OSMH's ICU. Paula brought light to any room. 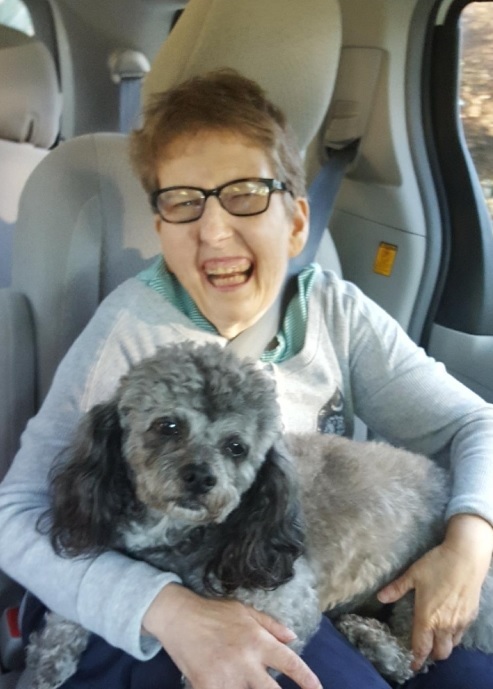 Her love of life, family and animals knew no bounds. A beautiful person with the biggest heart. We will miss you Paula. Visitation will be held at the Mundell Funeral Home, 79 West St. N., Orillia on Sunday March 31st from 5 - 8 PM. Parish Prayers will be held in the Parlour Sunday at 4:45 PM. Mass of Christian Burial will be held at the Church of the Guardian Angels, 115 West St. N., Orillia on Monday April 1st at 10 AM. In lieu of flowers, donations to the Ontario Prader-Willi Syndrome Association, Christian Horizons, or Orillia Soldiers' Memorial Hospital would be gratefully appreciated. Messages of condolence are welcomed at www.mundellfuneralhome.